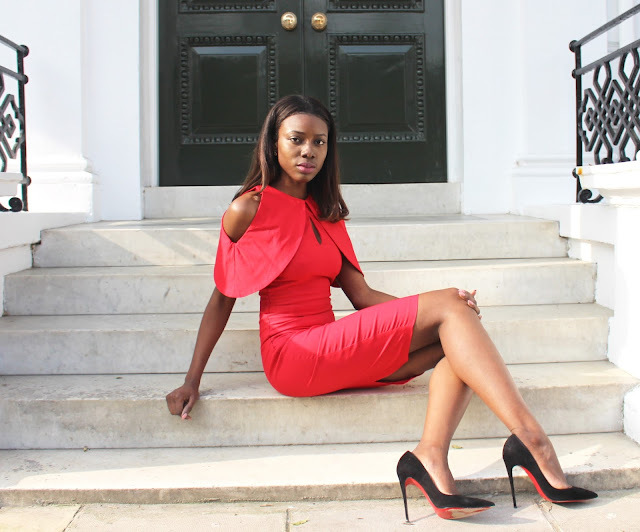 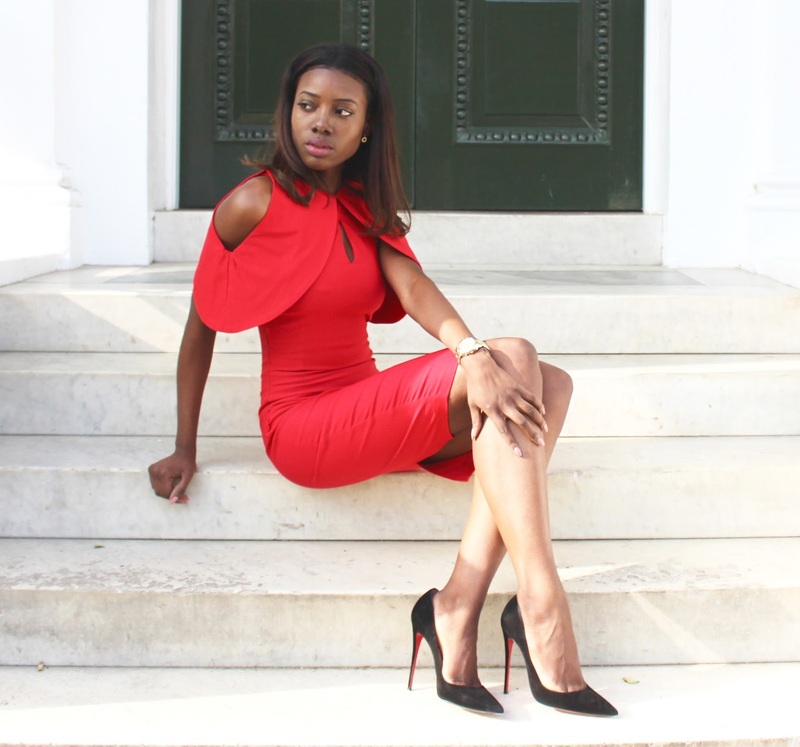 This post is in collaboration with Vesper Dresses, a British brand offering pieces that can see you from the office to those after office social outings. 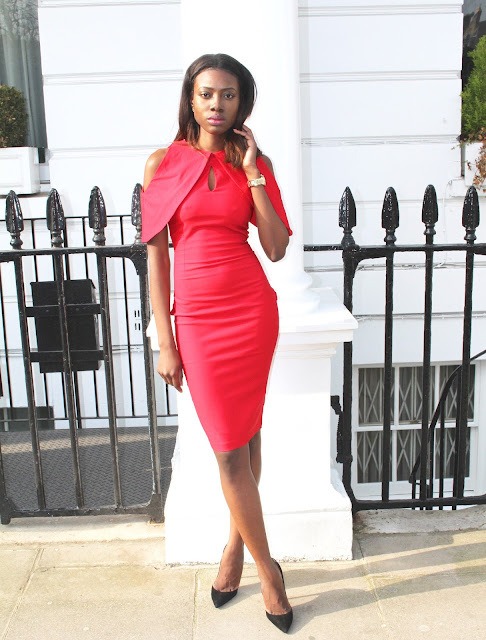 Their dresses are made from luxe fabrics to flatter and further enhance the female form and I can testify to that from wearing the Vesper Lulu midi dress featured in this post. 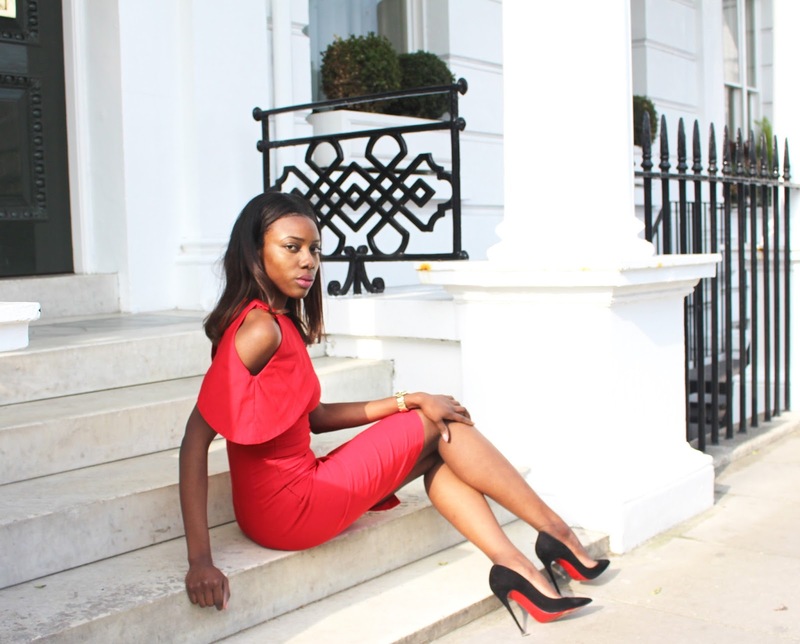 I love the stretchy nature of the Lulu midi dress which makes it breathable and comfortable to wear for hours on end. 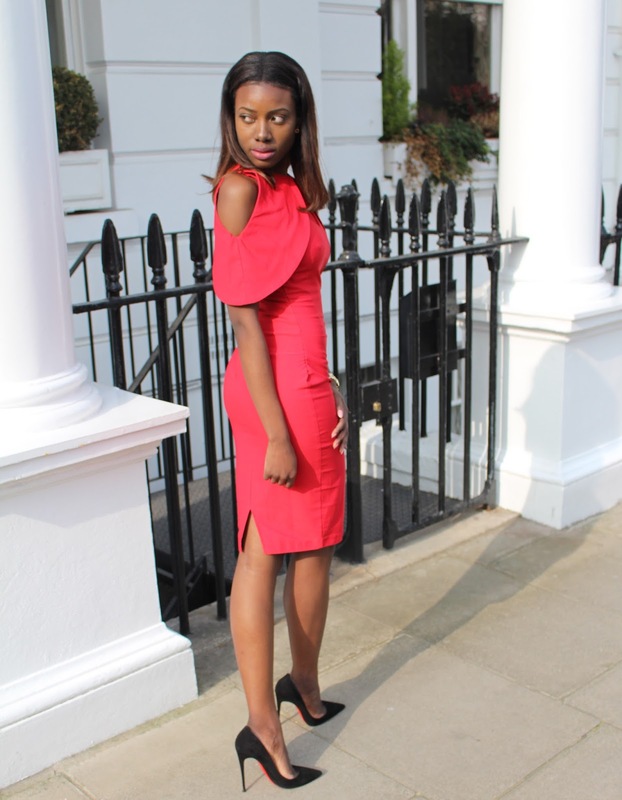 As many of you will know, I am not one to wear bright bold shades but I have the decision this summer to try and introduce some bold shades into my wardrobe hence why I picked out this bright beauty from Vesper Dresses. 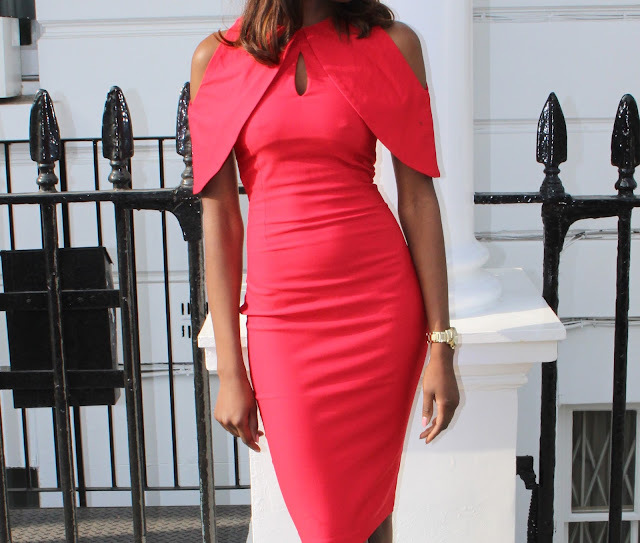 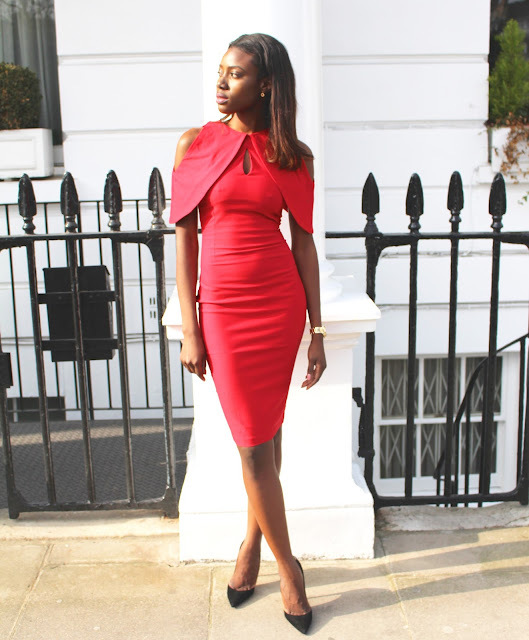 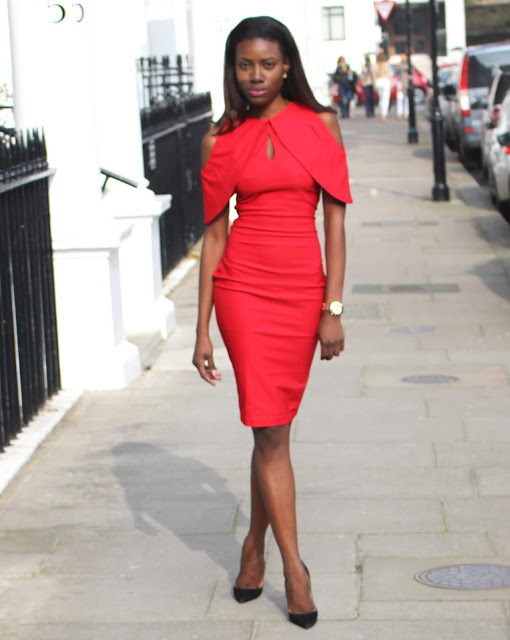 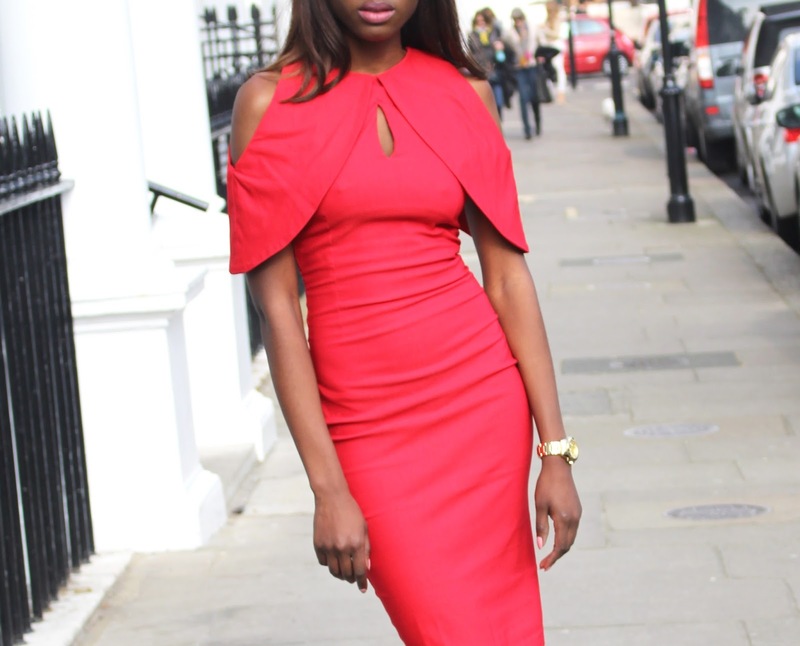 The red shade would an ideal colour to wear during the spring summer moths and you are sure to make a bold statement in this piece and command attention wherever you go.